Nadezhda Savchenko, a Ukrainian Air Force officer detained in Russia in 2014, is guilty of murdering two Russian journalists near Lugansk, eastern Ukraine, and of illegally crossing the Russian border, a court in the southern Russian town of Donetsk ruled. "Savchenko committed murder in collusion with a group of persons motivated by hatred and enmity,” the judge's ruling said. The court is due to read its verdict over two days on Monday and Tuesday. 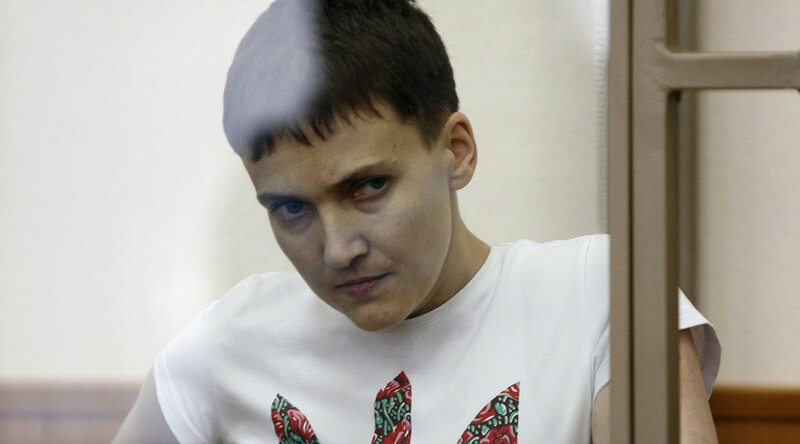 Savchenko committed crimes motivated by hatred towards the Russian-speaking population, the court stated. “The motive for the crimes committed by the accused were hatred and hostility towards the Lugansk Region inhabitants, and towards Russian-speaking people as a whole,” the ruling stated. The organizer of the Russian journalists' murder is Aidar Battalion Commander Melnichuk, the Russian court ruled. 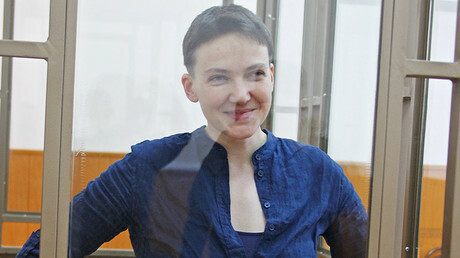 According to the prosecutors, Savchenko was a gunner on an Aidar battalion helicopter and reported the location of the two Russian journalists, Igor Kornelyuk and Anton Voloshin, to Kiev troops, who then shelled the area outside Lugansk. The attack resulted in the deaths of the journalists and other civilians. After that Savchenko, allegedly illegally crossed the border into Russia. In 2014, Savchenko joined the infamous Aidar Battalion, repeatedly accused by Amnesty International, Human Rights Watch and the OSCE mission of human rights violations in eastern Ukraine. The 34-year-old pilot has denied all the allegations, claiming that she in fact helped evacuate the wounded from the field during the attack. Savchenko’s case has caused controversy and received international attention, with pro-Ukrainian activists hailing her as a political prisoner and a hero. While in jail, she attempted several hunger strikes over the length of her trial process. In early March, the prosecution demanded a 23-year prison term for her, and a fine amounting to 100,000 rubles ($1,370). On March 9, when Savchenko was given an opportunity to deliver her final statement in a Russian court, located in the town of Donetsk not far from the Ukrainian border, she climbed on to a bench, raised her middle finger, and directed the obscene gesture towards the judge and prosecution. “Here’s my final word,” she said, and proceeded to sing the Ukrainian national anthem. Savchenko does not recognize the verdict of the Russian court whatever it may be, her lawyer Nikolay Polozov stated, according to TASS. "Savchenko is not interested in the verdict - she considers it a kangaroo court. She just told me that she does not recognize it, whatever it is, and will not appeal it,” Polozov said. He added that after the verdict is announced, Savchenko will resume her dry hunger strike, demanding her release and return to Ukraine. Earlier this month, Ukrainian President Petro Poroshenko said he sent a letter to Vladimir Putin with a request to release the pilot. According to one theory, Savchenko was allegedly captured by self-defense troops in the Lugansk Region and transported to Russia. Moscow insists that she entered Russia pretending to be an asylum seeker.